Imagine skiing down 5,000 glorious vertical feet (1,524m) and then repeating the experience again and again over one unforgettable week. On this sensational tour you will ascend and descend no less than five stunning Andean volcanoes: Chillan, Nevados de Chillan, Lonquimay, Llaima & Villarica. You’ll see fumaroles, Andean lagoons, and araucaria forests and soak in natural hot springs. You’ll put your endurance to the test but will be rewarded for your efforts by the thrill of long off-piste descents in pristine wilderness surroundings. 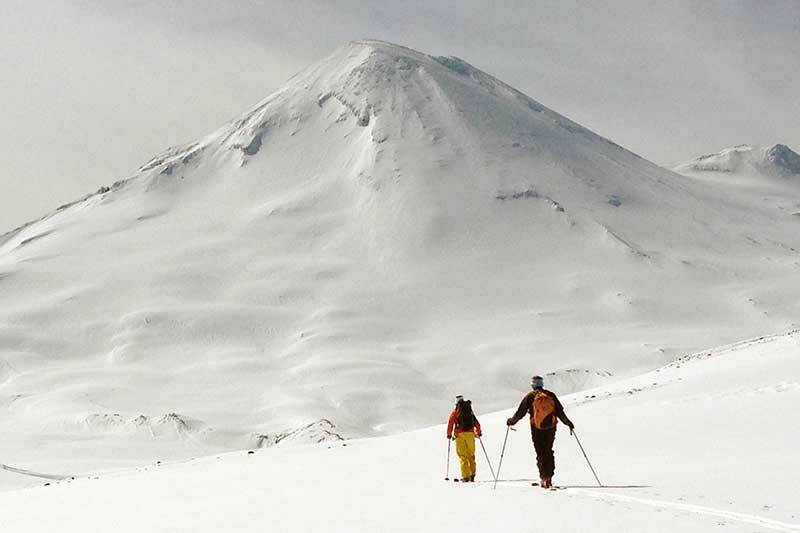 This magic Volcanoes ski touring trip, start at Concepcion’s airport to discover the magic of the volcanoes and finish up in the beautiful Pucon Auracanian city setting on beautiful Lago Villarrica under the smoldering eye of the volcano of the same name.